What’s Your Shower Trying to Tell You? There’s nothing better than a hot shower to start or end your day. It’s the perfect way to unwind, relax and forget about the outside world. Unfortunately, sometimes our plumbing has other plans. There are a number of issues associated with your shower, but we can pinpoint these by listening to what the shower has to say. Low water pressure is never fun. You just don’t feel as clean. But what causes low water pressure from your shower? As it turns out, it could be a number of things. One common problem that’s easy to fix is that the showerhead is simply dirty. After so much use, residue and other debris can clog in the shower head, restricting the flow of water. Taking the time to clean out or replace the shower head could be the answer. Another common reason for low pressure is too many devices being used at once. Running the dishwasher, doing laundry, even flushing the toilet all require running water. The more sources requiring water means lower pressure in each. Try to limit these other sources when showering. If that doesn’t work, the problem could be a little more significant. Low shower pressure could mean there’s a leak somewhere in the water main line. That means the full force of water isn’t reaching its intended destination. If that’s the issue, contact a plumber to get it fixed. We’ve all been there, but it doesn’t change the fact that cold showers aren’t much fun. The simplest reason for no hot water in your shower is that it has been used up. If others in your home have all taken showers, or ran the washing machine with hot water, there may not be enough left. Try waiting about half an hour and see if that helps. If you still can’t get any hot water, even if other areas in the house are, it might be a problem with the shower pipes. 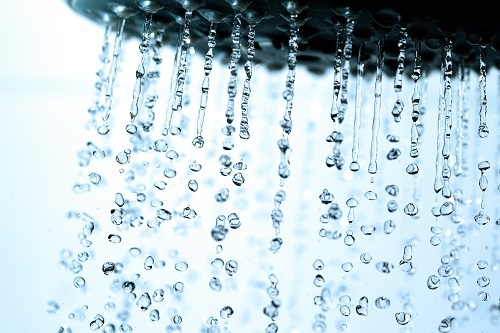 It could be a bad o-ring or malfunctioning mixing valve that’s preventing hot water from reaching your shower head. Sputtering shower heads or other faucets could be a result of a number of issues. If water comes out cloudy, but not discolored, it could mean there is air trapped in your water pipes. This is particularly common in colder months when air doesn’t move as quickly. If this happens in every faucet in your home, it may indicate a crack somewhere in your plumbing. If you notice it’s only your hot water that’s sputtering, this could mean there’s a serious problem with your home’s hot water heater. If this is the case, you should refrain from using any hot water and call a plumber immediately to avoid significant damage to your home. No matter what the problem is, Super Terry has the tools and experience to help your shower deliver the good stuff. Contact us today to learn how we can help.